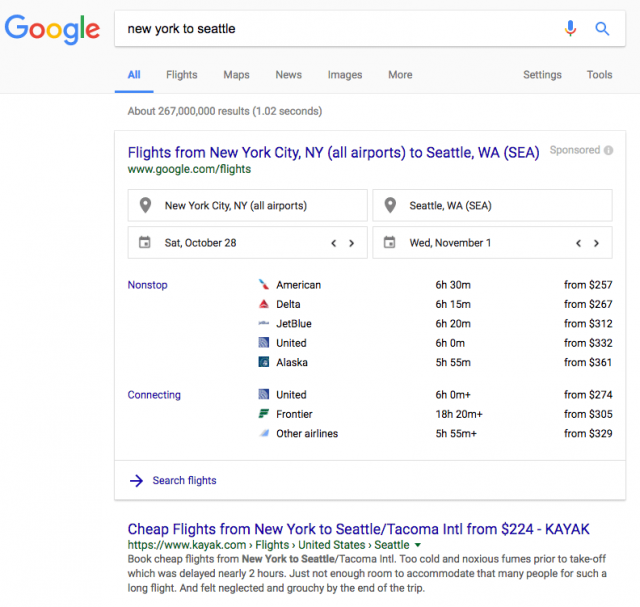 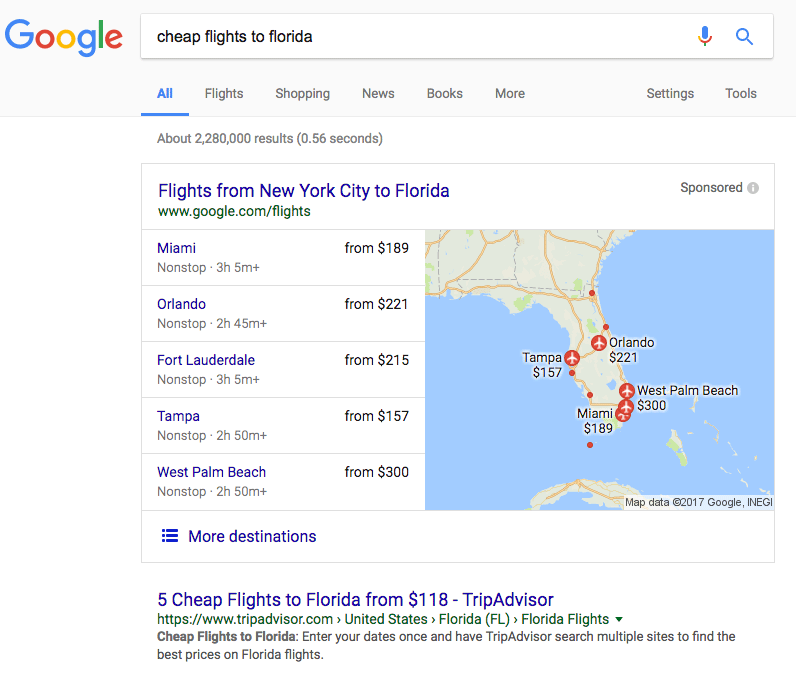 Google Redesigning Flight Search Ads? 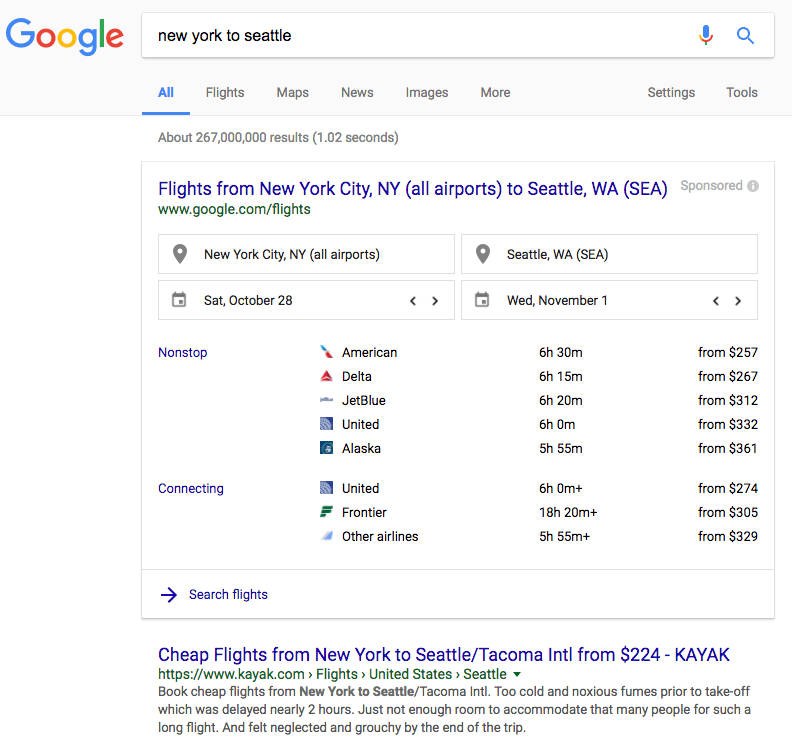 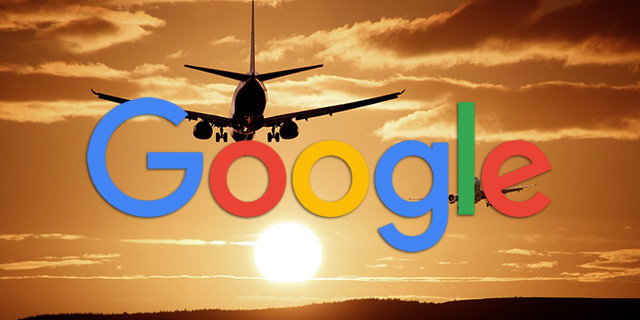 Pete Meyers posted on Twitter that Google has a new look for the flight search ads results. 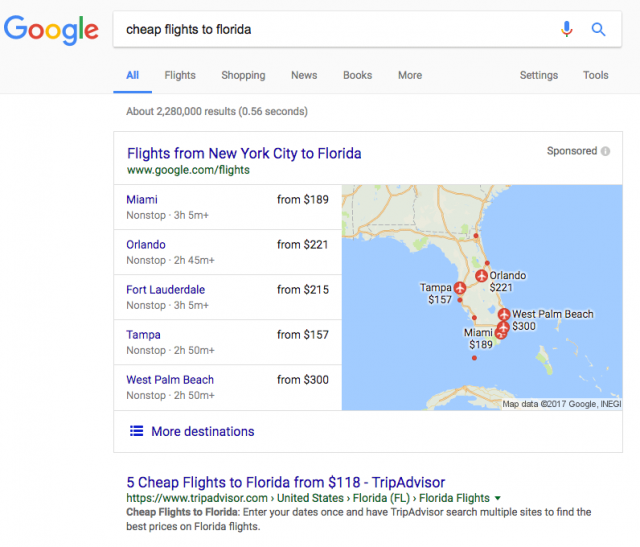 So I tested it and I compared it from what we saw over a year ago and the answer is, it depends.